Yes, Some Comics Are For Kids — And They're Big Business What's the best way to get people reading comics? Hook 'em young. And comics for early readers are booming — even big publishers like DC, famed for grim and gritty, are getting in on the action. Able to leap tall bookshelves in a single bound, it's our famous summer reader poll! Any self-respecting comics fan cringes at the phrase "comics aren't just for kids anymore." But any self-respecting comics fan also has to admit there are some great kids' comics out there — especially right now. Before I left for San Diego Comic-Con this week, I checked in with Lucy Strother, a fourth grade teacher in Philadelphia whose students just love comics. "We have like a comics and graphic novels bin in the library and it's perpetually empty because the kids are so obsessed with comics and graphic novels," she says. Strother says graphic novels are an important way to get kids used to reading longer chapter books with more mature ideas. And for her students, there's one author who reigns supreme. "The queen of my classroom is Raina Telgemeier." "My name does mean queen," Telgemeier laughs. 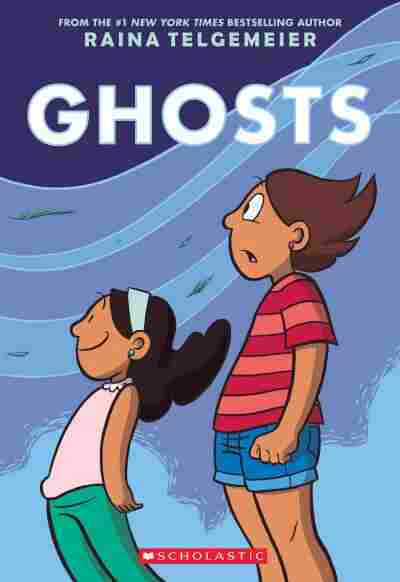 She's here at Comic-Con to talk comics and meet young readers; her latest graphic novel, Ghosts, is a gentle, lovely story for middle grade readers, about a girl coming to terms with her little sister's serious illness. "Comics are good for so many different kinds of readers," she says. "Kids who have never finished a book on their own before can pick up a graphic novel and be done in an hour and feel empowered, that they've never had that experience before. They finished something." Telgemeier says she draws comics for the kid she once was, the one who wanted more than newspaper strips, or DC and Marvel superhero comics. At first, she had to self-publish. "When I started publishing, really the top five book publishers hadn't quite gotten on board yet," she says. "My work didn't really fit into any of the spaces that existed and I wasn't sure what I was going to do." But even though the big publishers weren't on board, Telgemeier says kids still wanted comics on their level. She remembers voracious young readers crowding the aisles at big chain bookstores reading manga imported from Japan. She eventually found a home at Scholastic, one of the first big publishers to take a chance on graphic novels. Now, comics for kids are big business. We've just jumped from 23 titles a year to 40 in young readers. We've not reached the limit of that market, by far. Mark Siegel is the editorial and creative director of First Second books, the graphic novel imprint of Macmillan. The First Second booth is bustling, and piled with books for young readers — some of them for the very youngest. "A couple of these are wordless. I have Little Robot, by Ben Hatke, which is almost wordless, and then one of our early hits from when First Second started is Robot Dreams, by Sara Varon, which is a wordless story about a dog and robot." Siegel says business is booming. "We've just jumped from 23 titles a year to 40 in young readers. We've not reached the limit of that market, by far. By far." And for kids who do like superhero comics, the big guys are listening. 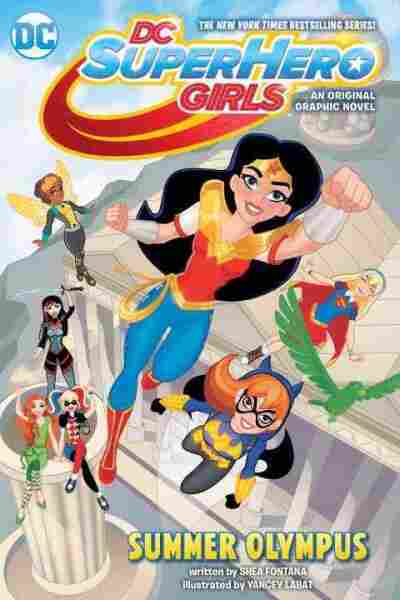 Jim Lee is the publisher at DC Entertainment; their SuperHero Girls graphic novel series has been a massive, unexpected hit. "And so that's given us the confidence and the foundation to essentially do a young reader line," he says. That's going to require some major changes in the way DC does business, Lee says. The company is trying to attract a more diverse group of writers to create books around DC characters. And instead of concentrating on selling single issues to comic shops, they'll have to start thinking about getting those books to kids. It's a big undertaking. "In the many years, almost 20 years here at DC, I've never seen the company as busy as it has been this past year." And I've never seen as many little kids — especially little girls — at Comic-Con as I have this year. 9-year-old Kayla Miller is here with her family; she's dressed as a video game character but she says she loves to read: "Chapter books, graphic novels, Japanese comics," and her very favorite is Spider-Man. She loves the multiple universes and storylines. So let's have a truce on the page — some comics are for kids. Just not all of them.